A disjointed, unorganized, poorly referenced, repetitive ramble. 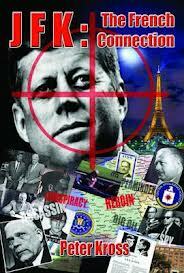 ... With nearly two million pages of declassified documents, the JFK case should be an interesting topic. This book competes with Harrison Livingstone’s The Radical Right and Joe Farrell’s oft criticized tome for flat out over-reliance on unworthy theories, not to mention narrative incoherence, opines Seamus Coogan. 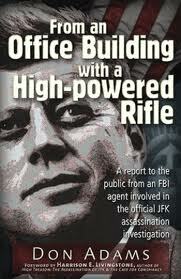 I am an ardent advocate of the late Carl Ogelsby’s comment with regards to the Kennedy assassination: “We must be careful of running off into the ether of our imaginations.” – especially when it is precisely our imaginations that are being targeted by intelligence-inspired, consumer-driven conspiracy nonsense like the JFK-MJ-12 hoax, concludes Seamus Coogan. Explores why the JFK community ignored the MJ-12 palaver, but more importantly why ‘truth seekers’ and ‘crank busters’ like Russo and others avoided the JFK-MJ-12 issue altogether, giving an outline of one of the potential targets of this disinformation. The total and utter failure in UFO circles to acknowledge that counter-intelligence is in itself designed to mislead and misrepresent. Wood Sr. and his lack of knowledge concerning the basics of Cold War intelligence initiatives, along with that of resident UFO/JFK ‘expert’ Linda Moulton Howe. On the denials of Tim Cooper’s wrongdoing in the face of strong evidence to the contrary. The recent assault on the senses concerning dubious evidence concerning Kennedy’s murder being enacted for sticking his nose in and around the UFO issue.